Its been a busy weekend quilting ... Yah! Yesterday I finished the machine quilting and today put the binding on this beauty. I was in love with this quilt from the very beginning. Its my first quilt with sashing and the use of white (yes I know! ), and I am hooked. 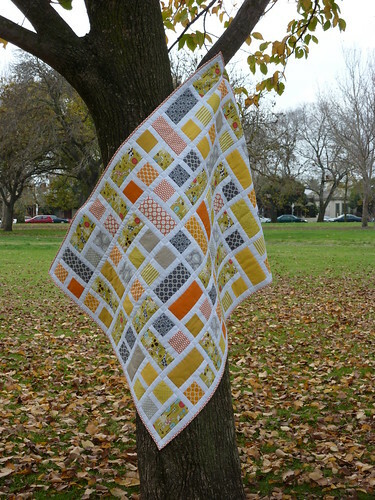 The oranges and yellows mixed in with splashes of grey is a winning combination. 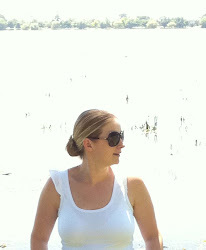 We visted a park today to get some shots ... its definitly autumn in Melbourne! Dont the colours look wonderful with the quilt? I am perfecting my machine binding (thank you Red Pepper Quilts for a great tutorial and I'm down to a two and a quarter inch binding on this one. 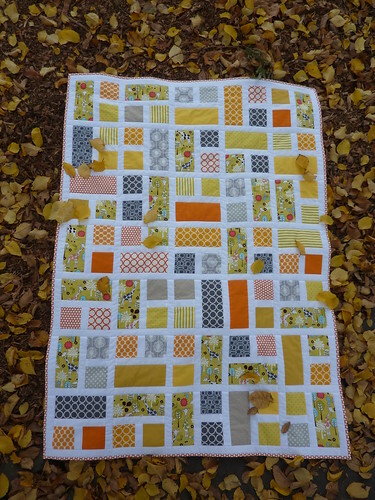 It will be hard to give this quilt up ... guess that means I will have to make a larger one for me! Inspiration came from Film in the Fridge and the tutorial is very helpful - thankyou Ashley! Check out the Flickr Group for other inspirational quilts using this design. Hope your having a good weekend. I'd love to see your quilt Amanda, however there are no photos visible yet??? 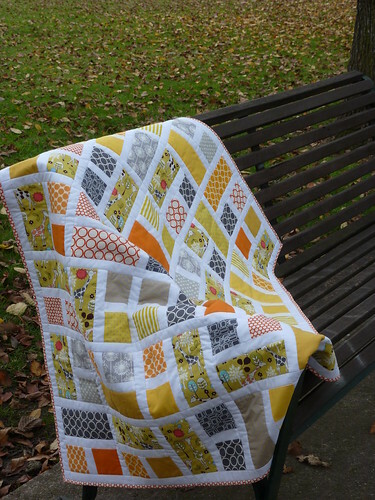 Hi I saw your quilt on flick, so just had to come and have a look. 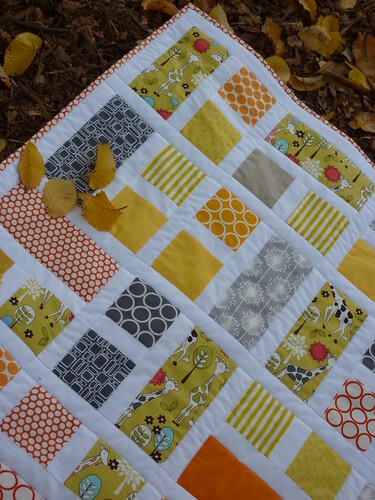 Your quilt is gorgeous, lovely fabrics and great colour combination. The photos taken in the park are just perfect.